Last year LinkedIn introduced a fabulous new feature: The LinkedIn Portfolio. The Portfolio allows LinkedIn users to showcase images, links, videos, audio, or presentations on their Education, Experience, and Summary sections. LinkedIn outlines specific list of approved content providers and content types. Users can upload up to 10 “work samples” to their profile. Do you work in a visual industry, one complete with tangible products? (Think: graphic designers, web designers, photographers, retail stores) Users can upload images that are .jpgs, .jpeg, .png, and .gifs with a file size under 100 MB. 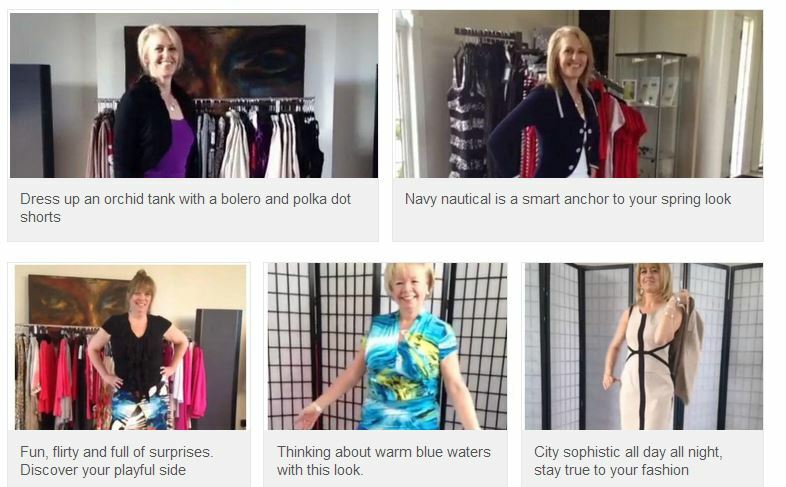 Kristine VanAllen, of KVA Collections, uploads photos of new clothing items as they arrive. Her portfolio is not static, but rather, is consistently being refreshed with new product. Don’t sell tangible products? Users can upload presentations that are .ppt, .pdf or link to online presentation hosts like Prezi or SlideShare. For my own business, Jennifer Baker Consulting, I link to presentations I upload to SlideShare, as well as upload images and links of when I am on television. It provides value, information, and keeps connections in-the-know about your happenings. 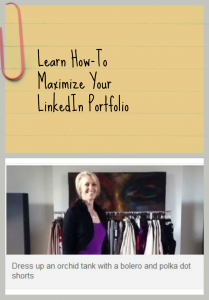 When creating a LinkedIn Portfolio, you will notice they appear in two formats, horizontal and square. The first row of work samples will be more horizontal, and the second will be more square, then horizontal, then square. Sizes the images accordingly will ensure that visuals are crisp, and that information appears properly. If you’re pumped and ready to learn how to develop your Portfolio by adding work samples, click here.